Just when I thought mountain biking could not get any better a friend of mine told me that last week he combined mountain biking with watching the annual Guy Faulks night fireworks. Those of you who read my last post would have seen the photo of the wonderful vista of Wellington Harbour from the new bridge they’ve just put in at Wainui bike park. Now, the friend of mine, who we shall call Richard Hammond decided he would take a leisurely bike ride up to the top of the hill, watch the fire works and then ride back down via Super Plus (the tampon track as it is now affectional known). Mr Hammond is your typical 90s MTB rider. He’s into Hard tails and single speeds – he enjoys the simpler way of mountain biking: suspensions make it easier, he once told me, as do lights I have since found out from him. Still buzzing from the 10 minutes of glitzy heart shaped fireworks and Katherine wheels, once the fireworks had finished Mr Hammond set of at pace down the mountain. 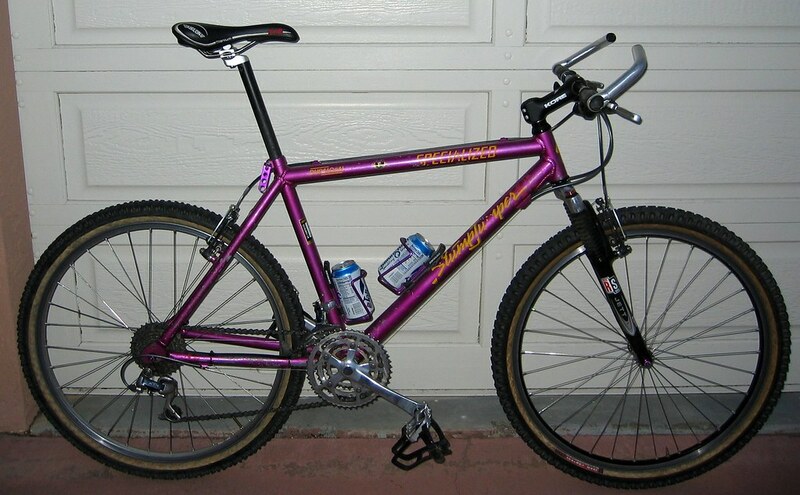 His bike, a fifth hand Purple Specialized from the early 2000’s, is the epitome of the classic riding. With crowds of people still milling around waiting for the next spectacle Mr hammond set off, unwittingly pinning it down what can only be described as a cliff edge with a freshly cut drainage ditch at the bottom. Without so much as front suspension Mr Hammond proceeded to absorb the brunt of the cliff drop with his testicles slamming hard down on the top tope of the bike. With crowds of onlookers, still a gaze, he rode off down the trail like it was a planned manoeuvre, done a thousand times: slumping down into a heap of pain round the first corner.